Phone Bill Casino have discovered another amazing mobile casino called Fruity Vegas, which launched in 2016 through the rapidly growing Netkan Ltd. With their impressive range of games, bonuses and of course the ability to pay by phone bill, you’ll soon discover why this may be a new one to try. Themed on the glitz and glamour of sin city, you can enjoy the usual table games such as blackjack and roulette, plus a great range of featured slots including Rainbow Riches and Drive. Of course this is a mobile casino so you can access Fruity Vegas on a number of mobile devices including Android and tablets. This will make those boring lunch breaks or commutes to work, much more exciting and hopefully rewarding. 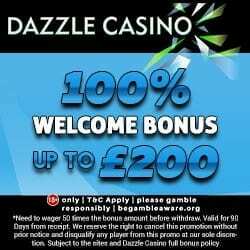 Fruity Vegas begin the bonuses from the point you register, because simply for adding a few personal details you’ll receive a £5 no deposit bonus. This is a nice little welcome from the site and gives you a chance to test out their game quality and responsiveness. So that you can continue playing your favourite games, Fruity Vegas also offers the bonus bank. Basically between Monday and Thursday, from 6pm to 9pm you simply need to deposit and play as you normally would. You’ll receive 25% cash back up to £50 on your first eligible deposit; what better way to get through the working week. If you come across any problems or you merely have a query, you can contact a Fruity Vegas representative via telephone, email or post. They are available between Monday and Friday, from 9am to 12 midnight. We would recommend checking out their FAQ section first, because they have covered most of the general questions there and it saves you waiting on a response. 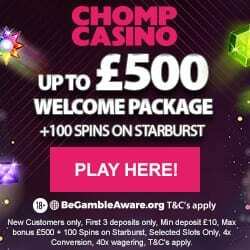 Because Fruity Vegas love their loyal players, they offer a VIP Club to reward them with extra perks and bonuses. Although its invitation only, if you’re lucky enough to join the elite you can look forward to up to 15% weekly cashback, bespoke offers, birthday bonuses and increased deposit limits. Fruity Vegas accept the usual banking methods including Credit and Debit Cards, Skrill, U Kash, Paypal and Boku. Boku is the ability to pay for gaming credit using your mobile phone bill and provides both enhanced financial security and the option to continue gaming if you don’t have the funds in your bank. You simply provide your 11 digit mobile number (because your phone provider has your bank details) and confirm acceptance of your choice of banking method. There tends to be a cap on the amount of funds you can credit in the beginning, but this will increase over time; then you pay off the bill when it normally comes through. 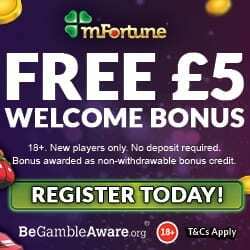 If you’re interested in the £5 no deposit bonus and 3 cash match bonuses then head on over to Fruity Vegas to register.